Michael Bisping will officially become part of the UFC history. This summer, “The Count” will officially be inducted into the UFC Hall of Fame. Bisping is the most successful competitor in the history of Great Britain, and the former Middleweight champion of the world. He scored notable wins over Dan Henderson, Thales Leites, and many others. The UFC Hall of Fame ceremony is set for July 5 in Las Vegas, Nevada. The venue is unknown yet, but it will air on UFC Fight Pass. Michael Bisping will join Ronda Rousey, BJ Penn, Forrest Griffin, and Urijah Faber in the “Modern Wing”. In his last match, “The Count” was defeated to Kelvin Gastelum at UFC Fight Night 122. Before that, he lost his 185-pound title to Georges St-Pierre at UFC 217. The greatest moment in the career of Michael Bisping was a spectacular first-round TKO over Luke Rockhold at UFC 199, when he won UFC Middleweight title. Michael ended his career with a score of 31 wins and 9 losses. He is also the former Cage Rage Light Heavyweight title holder and TUF 3 winner. But Michael Bisping is the only TUF champ who successfully defended a UFC title. Bisping also delivered the greatest number of significant strikes in the history of UFC Middleweight division (1384). What are your thoughts on this? 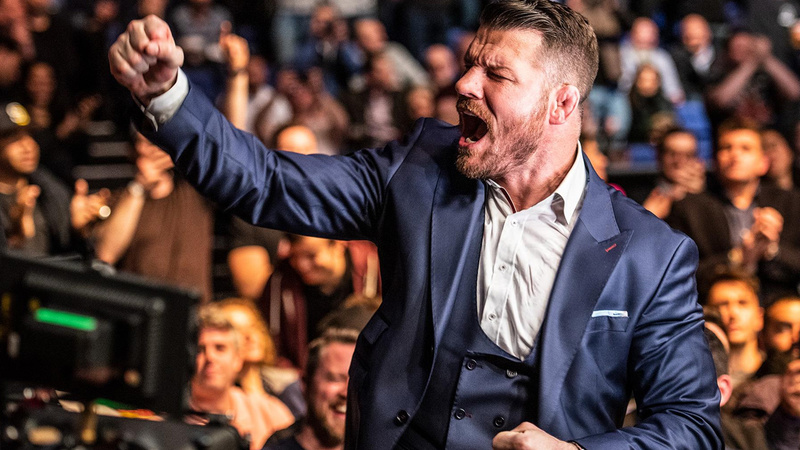 Do you believe Michael Bisping deserved UFC Hall of Fame induction? Jorge Masvidal Plans To Slap Michael Bisping After Till Fight At UFC London!